We Always Came Back To the Songs We Were Singing - Flaming Pie – 20 Years on. - GeekForce | Experience The Power Of The Geek! There are three moments when I was first introduced to the music of Paul McCartney. The first is for every child of the 80s, and maybe after this time, listening to the Froggy Chorus and loving that Rupert the Bear inspired music video. As a child you don’t need to know who Paul McCartney is to love that song – I think “we all stand together” on this point. 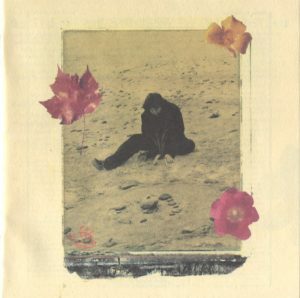 The second time I really became aware of Paul McCartney was the summer of 1989 with the song This One from his, return to form, album Flowers in the Dirt. A great track and one which even if you aren’t a Paul McCartney fan you should listen too. My third Paul moment and one that stuck with me for the last 25 years is getting into the Beatles. But I’ll save that for another blog. After finding the Beatles it’s the natural progression to listen to the four Beatles’ solo careers. To begin with I was a bigger fan of John Lennon and his solo output, probably of his Beatles work as well. The more I heard of the solo output the more I got into Paul. Basically because he was always more poppy and upbeat. When I first got into the Beatles the same year Paul released Hope of deliverance at the end of 1992, with the album, Off the Ground, being released in February 1993. That Christmas I watched a documentary on Paul – Up Close which was part documentary and part concert, which had been filmed early December 1992. But I didn’t get this album when it was released, I got the Hope of Deliverance single on tape cassette – do you remember tapes? I bought the album a few years later on cassette when it was being sold in the sales for £3.99 in WHSmiths. Nor did I get the Paul is Live album when it first came out, I was still getting into the Beatles at this point and hadn’t got all their albums. I started getting McCartney’s back catalogue on vinyl records, these were the 1990s and at the time when you could pick up original albums quite cheap. The first albums I got were Flowers in the Dirt, Pipes of Peace, Red Rose Speedway, Wings Wildlife and McCartney II. My Pipes of Peace album still has the price I paid for it on it, £2.50 – I doubt you would get it for that now. I had all McCartney’s back catalogue by the end of the 90s; there are great albums and there are a few not so good albums which have great moments. Between Off the Ground and Flaming Pie we had the Beatles Anthology so it had been a great time for me just getting into The Beatles. But this was also a golden period for McCartney fans and by 1997 I was a complete McCartney convert. Being able to listen to the wonderful music he had made but also listen to this new album which was excellent. Flaming Pie would be the first McCartney album that was released that I would buy on the day of its release just after my 20th birthday. Young Boy was the first track released on the 28th April. I managed to get the 2 CDs and vinyl single two days before the release on the Saturday from Rocket Records. This record shop used to have a lot of vinyl Beatles and their solo albums and singles and CD bootlegs. It was great to go in and see what they had, and it was relatively cheap at the time. The Young Boy track is great with a Beatlesy ending, this also had Steve Miller, of the Joker fame, on lead guitar duties. Then a week later on the 5th May 1997 the album Flaming Pie was released. Before I tell you how good this album is I will tell you what is wrong with it. There are two songs that came from jams, Used to Be Bad with Steve Miller and Really Love You with Ringo. There is also a song on the album If You Wanna which McCartney thought was like a Prince song, I can’t hear that at all. The album would be better with just one of these songs as they all sound similar and go on for 4 to 5 minutes each. The album is one of those 90s fill the CD and without two of these songs (or all three) the album would be better for it. The only other thing I would say about the album is it’s very produced and almost bland, like a lot of albums from this period, guitars that should be loud and edgy are softer than they should be. But this is only looking back and I loved this album at the time and these are my only niggles with it now, so on to what is great about the album. This was the first McCartney album to look back on his past. The Songs We Were Singing opens the album and is about Macca and the other Beatles when they used to sit around at night talking and singing. He’d started looking back on his Beatles past due to the Anthology and this had come into his music. There was also a song about Maureen Starkey, Ringo’s first wife, called Little Willow. She had passed away in 1994 after a battle with cancer. McCartney had wrote it to comfort her children. The title track was a spoof song about a line which John Lennon had said when asked where the name The Beatles had come from, he told the reporter that a man on a flaming pie had come down from the sky and told them they were Beatles with an “A”. The track is playful and like something off McCartney’s RAM album. There were also two “old” songs which McCartney polished off and bought back for this album. The big piano number at the end of the album, Beautiful Night, which he had wrote in the mid-80s and recorded a demo in New York 10 years previously. This is a great album closer, maybe not as good as C’mon People from Off the Ground but it is the last big piano number that Macca’s done, I don’t think the albums since have had anything like this to end them, and also Ringo plays drums and does a bit of backing on the song. The final song on the album is Great Day, as McCartney said after a Beautiful Night you have a Great Day – he’s good! This song is a throwback to the early 1970s, one which he made while on his farm. Looking back this was probably influenced by Linda, she was battling cancer at this time. This was the final album which Linda would appear on, and Great Day is the very last song she sings on. Her final appearance was in the video was for the song Beautiful Night which was released in December 1997. Linda unfortunately passed away on the 17th April 1998. Other songs which I should note as stand out tracks are World Tonight, which was the second single release in the summer of 1997. There are a couple of great acoustic tracks Somedays and Calico Skies. 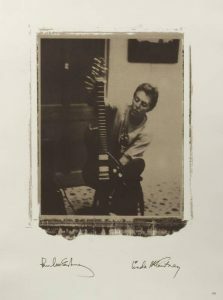 There is also the first appearance of McCartney’s son James on Heaven on a Sunday playing electric guitar. But the best track for me as got to be Souvenir. This is Macca at is best, with a slightly sinister Hey Bulldog sound only more soul. McCartney didn’t tour this album because of Linda being ill and instead made one great appearance on TFI Friday. The whole show was dedicated to Macca being interviewed by Chris Evans. At the end of the show McCartney played a few songs off Flaming Pie with “himself” as he hadn’t got a band at this point. The album was produced by McCartney and Jeff Lynn, straight from producing duties for the Beatles songs Free as a Bird and Real Love for the Anthology. This was also the last Paul McCartney album to feature long-time producer and mentor, George Martin - the 5th Beatle. He orchestrated the lush instrumentation on Somedays and Beautiful Night. I would say that Flaming Pie is the last great McCartney album. Even the “B” sides of the singles were great with new songs and old songs from his radio show Oobu Joobu, which he had made and presented a few years before. It all added to something wonderful in the days before downloads when everyone was waiting for those CD singles and albums and a chart show that meant something. So if you want somewhere to start with Paul McCartney’s back catalogue then you can’t go far wrong with this album.